This is my favorite time of year. We are huge football fans, both college and NFL. My husband and I are a split college household and spend Sunday's secretly wishing each other fails in our competing fantasy football league. Competitive spirit always makes for a good time. We live in Tampa and happen to have an NFL stadium less than 10 minutes from our house. We are also very close to both of our favorite colleges and frequently head over for some tailgate action. With all my years of tailgate experience, the one thing I have learned is finding flexible ingredients. 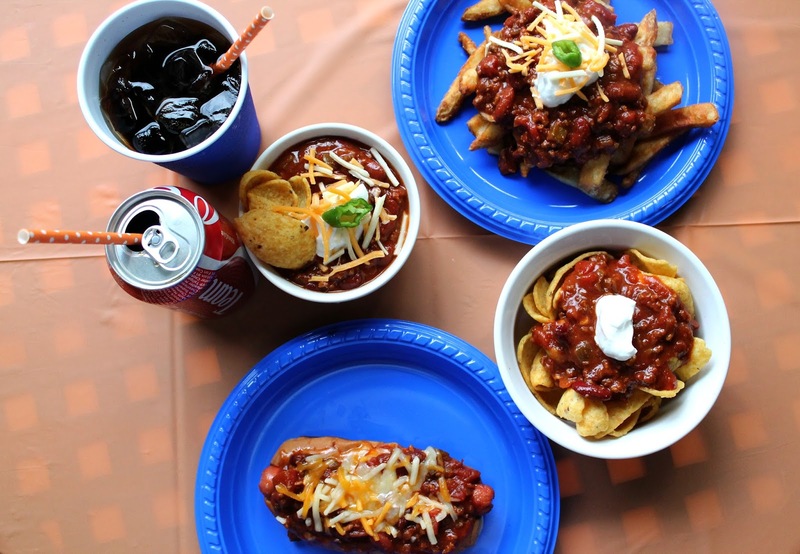 This is why Chili is my go-to tailgate super food. 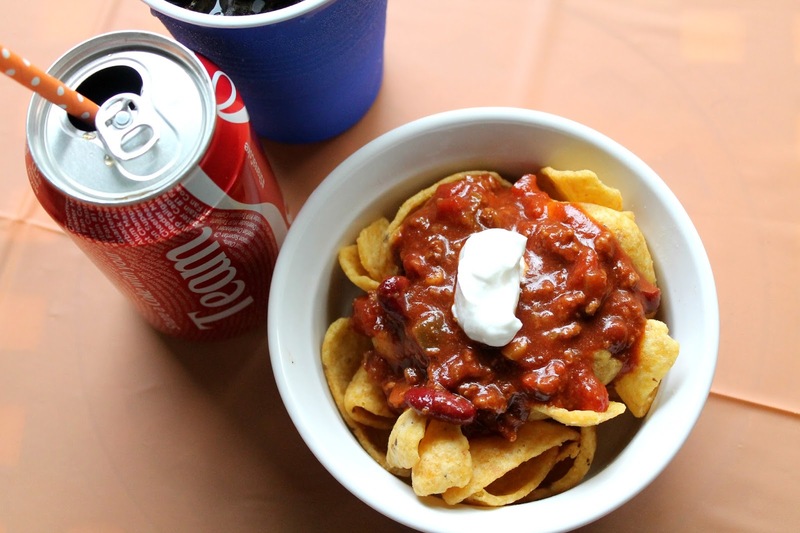 Chili can be used in many tailgate entrees and appetizers. Chili chips, chili fries, chili dogs, chili burgers, chili salad (yes, it's a thing). You can add chili to pretty much anything and make a delicious meal. You can make a vegetarian chili or steak chili. 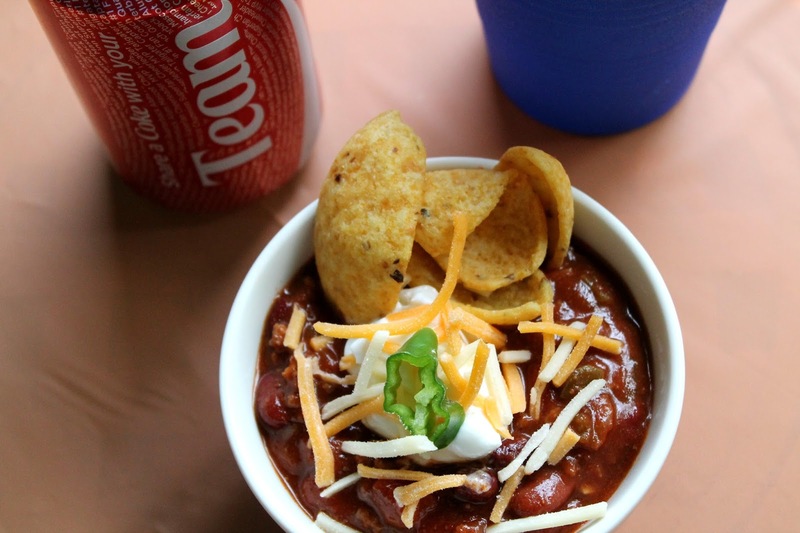 One of my all time favorites, especially for football season is Coke Chili. I use original Coca-Cola in place of 12oz of water and it brings out such a wonderful unique flavor. 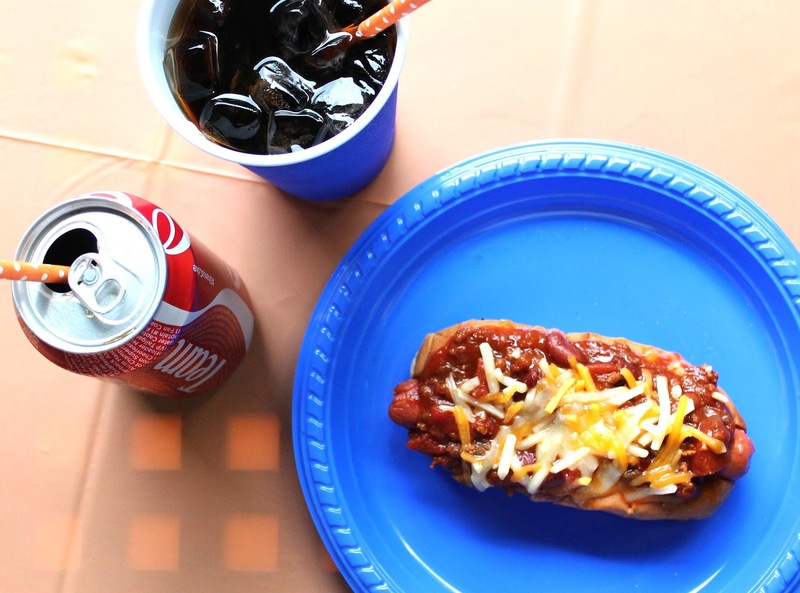 I have recently been told my Coke Chili is "on point, legit". 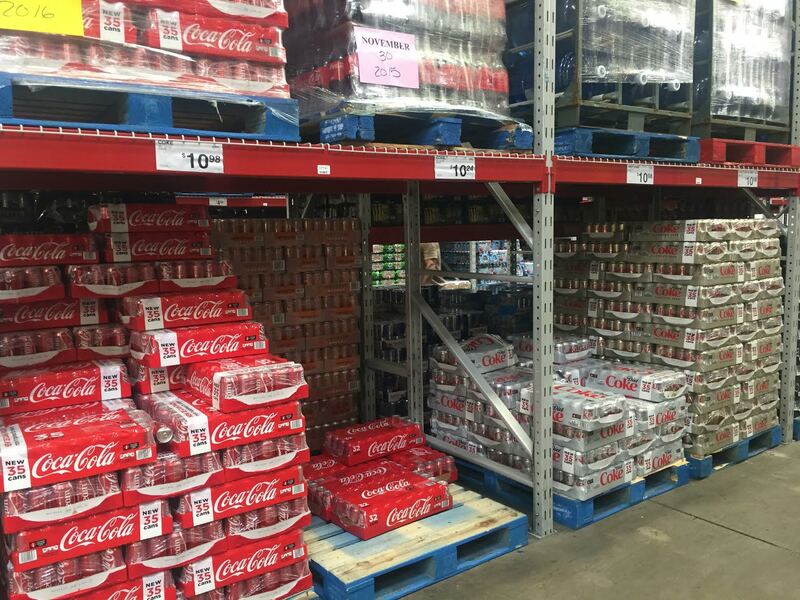 A great tip for all the tailgaters out there: Sam's Club now has a brand new easy order online and pickup feature. This saves so much time when it comes to prepping for the big game. You select what you want online, and it is ready for you to pick up at a specified time. Sam's now has Coca-Cola's brand new 28 packs which are perfect for any football gathering. I loved using the online order to get this product! Saute first four ingredients in a large pot until soft. Add beef and cook through. Drain the fat and return to heat. Add garlic, tomatoes, water, coke, spices, and beans. Cover and simmer about 1 hour. Prepare everything the night before and place in individual plastic containers for easy serving. You can make your Chili the night before and reheat in a pot on your grill on tailgate day. Layout everything in individual bowls or plastic containers as mentioned above. It's much easier if you do the prep ahead of time and use what you store it in as a serving dish. The Coke 24 Packs can be found at your local Sam's Club and don't forget to use their easy order online and pickup feature, which will save you time to prep for the big game!